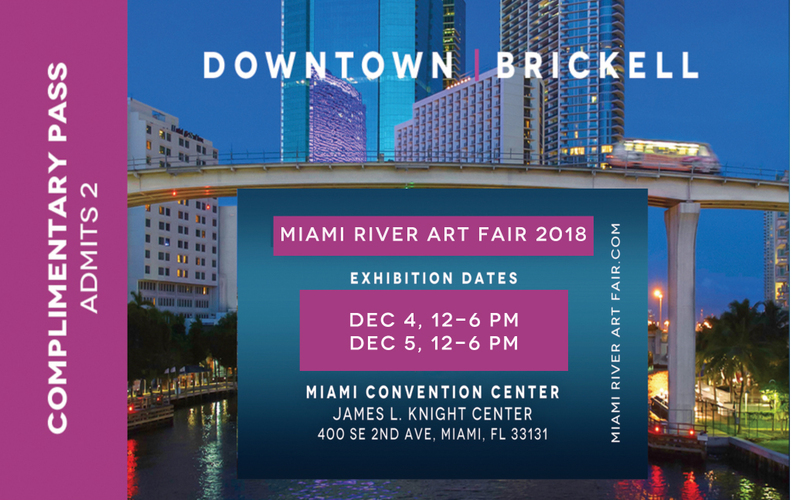 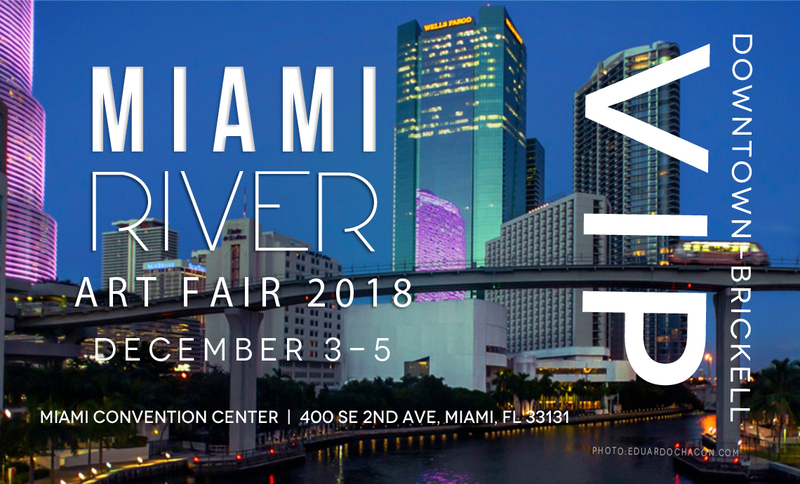 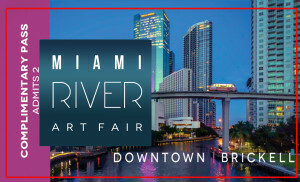 Print these to exchange at the event registration desk for your complimentary entry to the 2018 Miami River Art Fair. 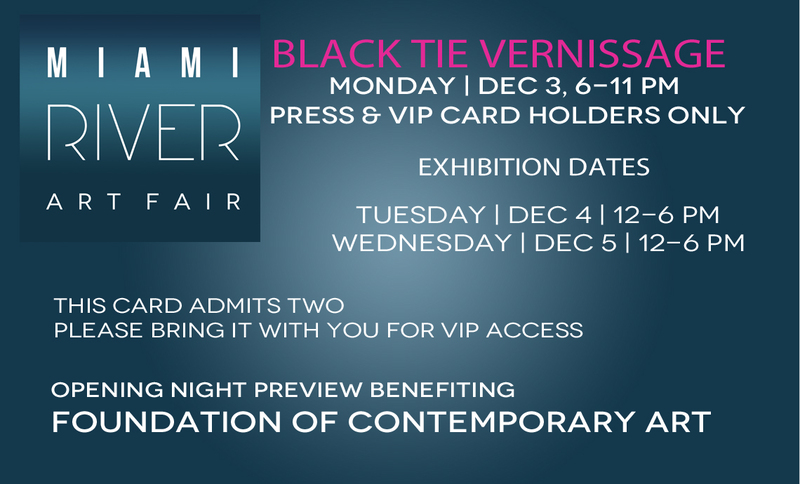 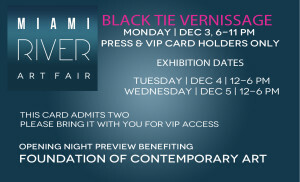 These complimentary tickets are valid December 4-5. 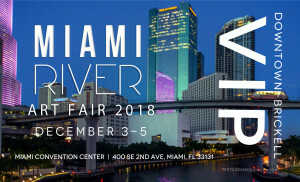 Please log into the site. 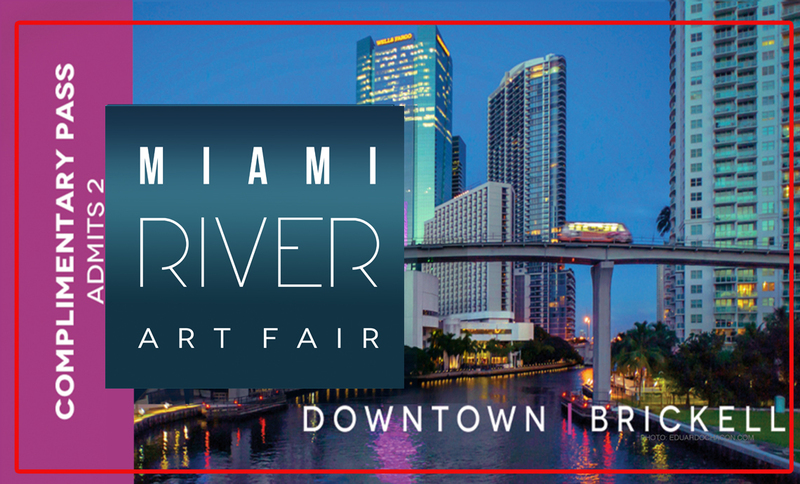 If you forgot your username/password, please email us at info@miamiriverartfair.com.